Must-Read Books for This Summer! The sun is out and the days are long – how will you spend your summer days? 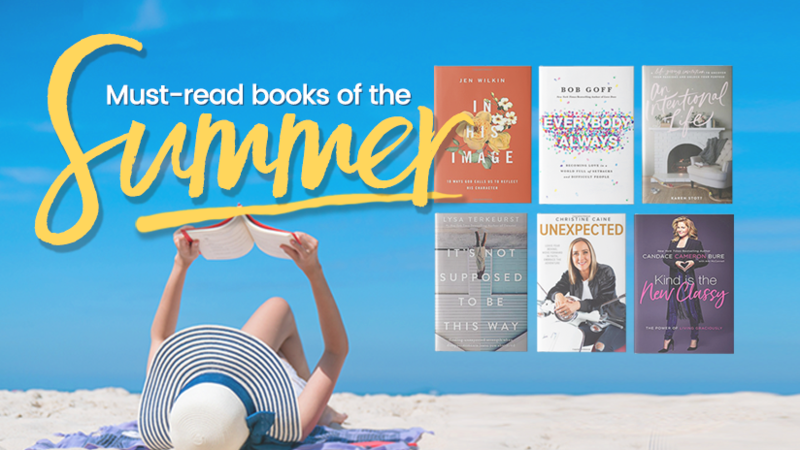 Check out our recommendations for new & inspiring books to encourage you to grow in your faith all summer long. In this follow-up to his best-selling Love Does, Goff shares how he learned to accept others without inhibition, insecurity, and restriction—including when he befriended a Ugandan witch doctor. Discover how a no-limits embrace of everybody can transform the world. Those desires that tug on your heart and keep you up at night-the big dreams, grand adventures, new experiences-require purpose and planning, time and effort. Is it possible to follow your passions while still finding joy and meaning where God has you right now? With the voice of a close friend, Karen Stott offers insight and inspiration from her story of juggling motherhood and multiple businesses while leading Pursuit, a global entrepreneurial community. What happens when life looks very different from the reality we long for? In It’s Not Supposed to Be This Way, Lysa TerKeurst offers a Biblical perspective and hard-won advice to encourage readers facing their own challenges. Find unexpected strength while wrestling between faith and feelings and learn how to stand through uncertainty and trust in God’s goodness. Using personal stories and biblical examples, in Unexpected, author Christine Caine offers real-life strategies to help you journey from fear to hope. Discover how to embrace the unexpected, strengthen your faith, choose your destiny, and trust that God is in control. 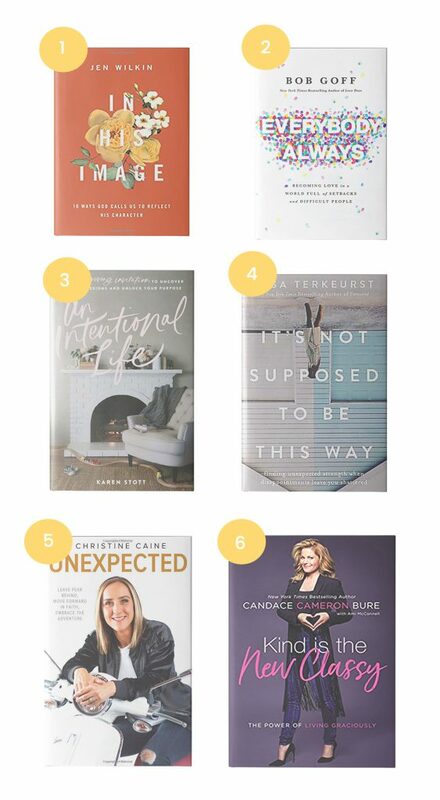 In Kind is the New Classy, beloved actress and author Candace Cameron Bure reveals the thought patterns and practices that have empowered her to flourish with grace, integrity, and excellence. Discover how to keep your cool under pressure, respond to criticism with grace, stay grounded yet go places in life, stay true to who you are despite the expectations of others, and stay centered in what ultimately matters the most.